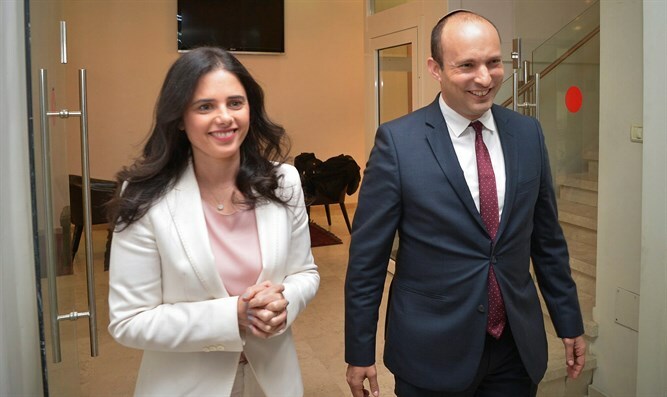 New Right party warns: If Blue and White joins Likud-led government, US 'peace plan' will go through. "Now it's clear: Either Bennett and Shaked, with a revolution in the Supreme Court and a victory over Hamas. Or, a soft leftist government made of Bibi (Netanyahu - ed. ), [MK Yair] Lapid, and [Benny] Gantz, with Lapid as Justice Minister and Gantz as Defense Minister." Lapid and Gantz have agreed that if their Blue and White party wins the elections, they will take turns being prime minister.